When will be SAS: Rogue Warriors next episode air date? Is SAS: Rogue Warriors renewed or cancelled? Where to countdown SAS: Rogue Warriors air dates? 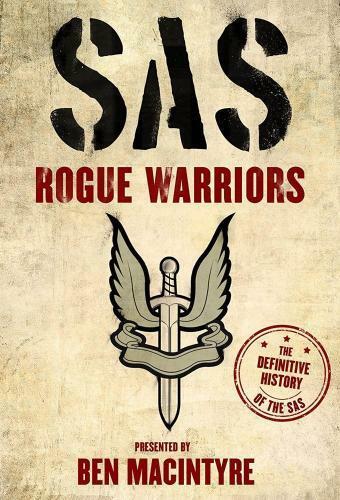 Is SAS: Rogue Warriors worth watching? 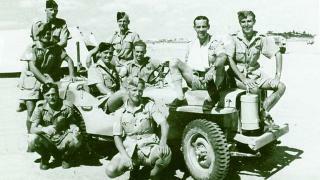 The Special Air Service is the world's most famous combat unit with the motto ‘Who Dares Wins' - but the story of how it came into existence has been, until now, a closely guarded secret.Now, 75 years after it all began, the SAS has agreed to open up its archive for the first time and allow journalist and best-selling author Ben Macintyre (Operation Mincemeat, Agent Zigzag) to reveal the true story of their formation during the darkest days of World War II.With unprecedented access to the SAS secret files, unseen footage and exclusive interviews with its founding members, this series tells the remarkable story behind an extraordinary fighting force. 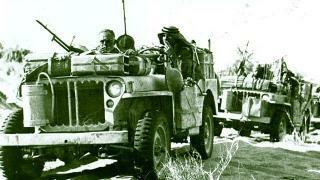 In this first episode, Ben starts at the very beginning of the formation of the SAS - at the height of the war, in the heat of the North African desert in 1941. A bored, eccentric young British army officer starts to form his own plans to take on the German and Italian forces with an elaborate scheme that would prove to be imaginative, radical and entirely against the rules. This officer was David Archibald Stirling, an aristocratic dreamer who once held lofty ambitions to be an artist or a famous mountaineer but now, with the war in the desert reaching its most desperate stage, Stirling has a vision for a new kind of war: attacking the enemy where they least expect it - from behind their own lines. With exclusive access to the SAS's 1987 filmed interviews with Stirling and the other original SAS members, Ben reveals how Stirling succeeded in convincing the many in British High Command who opposed this radical new way of warfare, how he began training a small elite fighting force, and how his new covert tactics helped the Allies to victory in the desert. 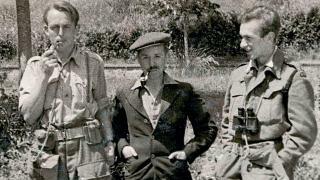 David Stirling created the SAS to attack the enemy from deep behind their lines, but as Ben Macintyre discovers in this second episode, continued success could only be achieved with ever more dangerous and ambitious missions. Stirling is locked away in Hitler's most secure prison - Colditz. Leadership of the SAS passes to Paddy Mayne, a man who has built his reputation on the battlefield as a warrior of the first rank, but has no interest in charming high command. In 1943, the SAS leaves the desert for Europe, to enter a darker and far more complex theatre of war, led by a man who is often drunk and disorderly and prone to acts of savagery. They will face the terror of execution and the trauma of civilian casualties. And they will be the first to witness the nightmare of Belsen concentration camp. SAS: Rogue Warriors next episode air date provides TVMaze for you. EpisoDate.com is your TV show guide to Countdown SAS: Rogue Warriors Episode Air Dates and to stay in touch with SAS: Rogue Warriors next episode Air Date and your others favorite TV Shows. Add the shows you like to a "Watchlist" and let the site take it from there.